In New Jersey state, Chief Justice Stuart Rabner issued an order that will introduce hearings to consider the dismissal of unresolved cases involving minor municipal offenses that are more than 15 years old. On July 19, the order was filed on behalf of the Supreme Court. The Administrative Office of the Courts found hundreds of thousands of cases left open that involved minor municipal offenses from years ago, dating back to even the 80s. The order calls for a three-judge panel to conduct a series of hearings throughout the state to allow interested parties the opportunity to argue against the dismissal of these cases. Through the order, there are only certain cases that are eligible to be dismissed. In the order, it outlines cases that are not allowed to be dismissed. This includes cases involving driving while intoxicated, reckless driving, major traffic violations, disorderly and petty disorderly persons offenses and indictable offenses. Earlier this week, the Supreme Court Committee on Municipal Court Operations, Fines and Fees released an order that called for the dismissal of old bench warrants involving minor offenses with minimal penalties. Chief Justice Rabner expressed his opinion that the dated warrants raise questions involving fairness and the appropriate use of limited public resources. Since serious traffic violations are not being dismissed, individuals should continue to seek legal counsel. If you have been charged with speeding, reckless driving, a cell phone violation or driving without a license, you may still be prosecuted for your violation. This can include a variety of penalties. These consequences may include high fines that can negatively impact your financial health. If you are at risk of getting points on your license, you may also face a rise in insurance premiums. This can greatly impact your life and driving ability. License suspension is another option that can be considered as a penalty depending on the case. With a suspended license, individuals may become limited in life. It can cause other effects since it may impact your travel plans to get to work. 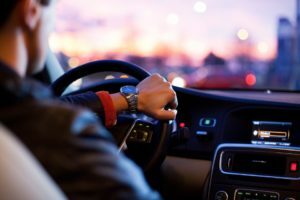 If individuals were found driving with a suspended license, they may face even harsher consequences. This may include the expulsion of your license. For these cases, it may not seem too significant, but it is important to know all your options. A professional attorney specializing in traffic violations can present you with outcomes. This can aid you in preparing for the future and protecting your rights. Can a municipal entity be responsible for a slip and fall accident? What happens when my child is tried as a juvenile?